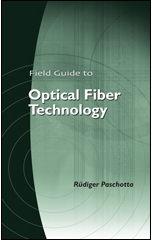 The RP Photonics Buyer's Guide contains 17 suppliers for transition-metal-doped gain media. Ask RP Photonics on advice concerning the selection or design of solid-state lasers. A number of solid-state laser gain media are doped with transition metal ions, having optical transitions involving the electrons of the 3d shell. Table 1 gives an overview of the most common transition metal ions and their host media. Table 1: Common transition metal ions and host media. More exotic ions for lasers are cobalt (Co2+), nickel (Ni2+), and iron (Fe2+). A common property of transition metal ions is that the corresponding absorption and laser transitions have a very broad bandwidth, leading in particular to a very large gain bandwidth. This results from the strong interaction of the electronic transitions with phonons (→ vibronic lasers), which is a kind of homogeneous broadening. Laser-active transition metal ions are basically always used in crystals rather than glasses as host media, since crystals offer a higher thermal conductivity and the additional inhomogeneous broadening from glasses would hardly be useful. The most important lasers based on transition-metal-doped gain media are titanium–sapphire lasers and various lasers based on chromium-doped gain media such as Cr4+:YAG or Cr3+:LiSAF. Less common are lasers based on media such as Co2+:MgF2, Co2+:ZnF2 and Ni2+:MgF2.